How to create a marketing plan? Actually, every business needs one. But few are able to tell you what exactly a marketing plan should consist of. Therefore, we give you an overview about how to create a marketing plan: Just follow these 8 simple steps. Will take you more than a few hours. Extensive research and major decisions are needed – this may take a few weeks depending on factors such as the size of your market and the uniqueness of your product line(s). 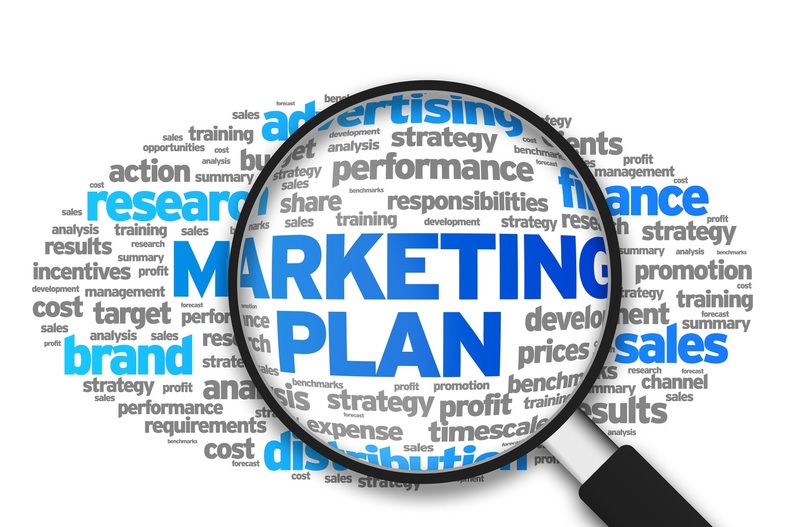 How to create a marketing plan – let’s have a look at the 8 steps. The marketing plan starts with the executive summary. It is a high-level summary of the marketing plan as a whole, and a paradox on paper: this is the last section that you should write, but the first section that should be in the finished report. It should best be kept short, but relevant. In other words: Need to know in the executive summary, and nice to know in the actual report. The function of the executive summary, in fact, is to give a quick idea of the findings. The second section contains a brief description of the product(s) and/or product line(s) that your company offers. With each description, include goals that you want to set for each product and product line (sales figures, strategic and company-wide goals, and so further). Keep the number and complexity of your goals at a maximum of three per product/product line, and remember that they need to be concise, measurable, and moderately easy to achieve. However, don’t forget that you need a challenge – not goals you will reach the next day. More about the Macro Environmental analysis can be found here. More about the SWOT analysis can be found here. The 4th step in how to create a marketing plan is dedicated to market segmentation. Each market can be divided into distinct segments. You cannot serve all of them, so you should target the ones you can serve best. Before doing so, identifying the different segments is your first task. Understanding the relevant segments for your product(s) in your market is important, for they allow you to adjust your “marketing mix” (the “Four P’s” discussed lower) to better adapt to the different needs of each segment. Segments should be measurable, accessible, differentiable, substantial, and actionable. Inside your marketing plan, listing your segments should follow a clear and predictable form, as shown below. More about the market segmentation process can be found here. In coming up with alternative marketing strategies, it is best to write down details about any alternatives that you and your team considered before arriving at your current strategy. These may include eliminating a particular product or line, changing the price point of a product or line, and so further. After having defined alternative marketing strategies, you have to select one. Explain the strategy that you and your team have developed and agreed upon. Also explain: Why did you choose this strategy? Why do you feel that it’s the best possible strategy for the near future? Distribution channels (do you sell this product yourself, ship it to retailers or warehouses, etc). More about the 4 P’s can be found here. This section of the marketing plan should include forecasts of revenues and expenses, your break-even analysis, and any changes or adjustments that you predict you’ll need to make in the future. Finally, we come to the last step in how to create a marketing plan: The conclusion. This is an expanded version of your Executive Summary. You should include all specific numbers (projected costs, revenues, profits, etc.) and give precise recommendations. This comprehensive overview should explain how to create a marketing plan. However, creating a marketing plan involves quite a lot of work. Therefore, it is even more important to understand what you are doing. So make sure you know how to create a marketing plan before you start!